The planet Venus (also known as the evening star) has inspired poets, painters and dreamers for millenia. As the sun sinks below the pink horizon, it appears, a sentinel to warn travelers to find a place to bed down for the night. 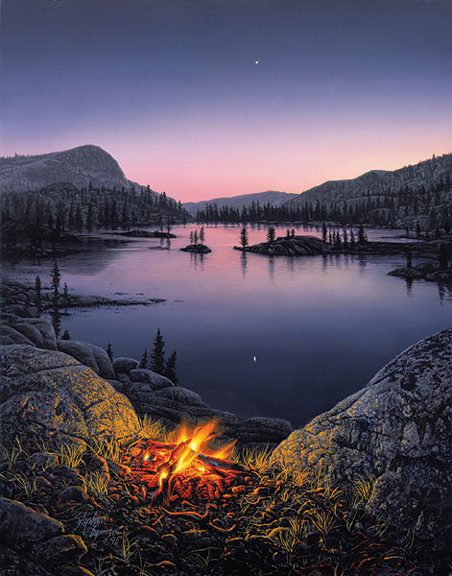 This idyllic scene is part of Lyman’s campfire series, which also includes Warmed by the View, Fire Dance and Embers at Dawn, all of which are Sold Out at Publisher.